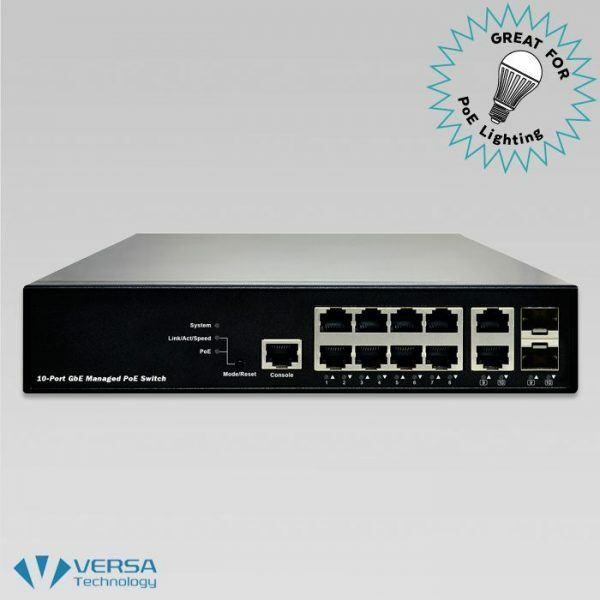 The VX-GPU2610, from Versa Technology, is a L2+ Managed UPOE Switch that offers a full suite of L2 features and better PoE functionality and usability. This includes advanced L3 features such as Static Route that delivers better cost performance and lower total cost of ownership in Enterprise networks via fiber or copper connections. It also supports Universal Power Over Ethernet (UPOE), per port 60W. 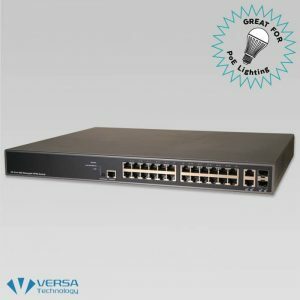 The VX-GPU2610 delivers 4 (10M/100M/1G) RJ45, 4 PoE+/UPOE (Supports 802.3at/af, and up to 240W) ports, 2 Combo GbE RJ45/SFP ports and RJ45 Console port. The VX-GPU2610 provides high HW performance and environment flexibility for SMBs and Enterprises. 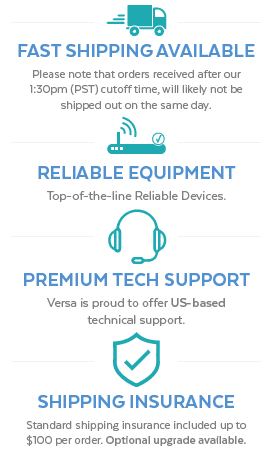 Versa’s VX-GPU2610 is ideal for delivering management simplicity, intuitive user experience, and lower total cost of ownership. The embedded Device Managed System is designed to be extremely easy-to-use, manage and install; IP phones, IP cameras, high power wireless APs or LED lighting for enterprise applications. The switch delivers advanced functionality in L2+ managed switch including Layer 3 static route, DHCP server, IPv6 support, LLDP, etc. It also has comprehensive security features such as IP source guard and ACL to guard your network from unauthorized access. 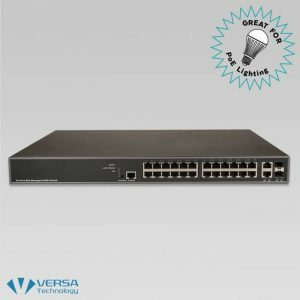 It helps users to build on the market-leading price/performance with L2+ Managed GbE PoE switch, and provide secure, reliable and ease of use for enterprise/SMB deployments. The DMS provides embedded functions to facilitate devices management at anytime and anywhere. Its user-friendly interface helps users to manage devices intuitively. It supports various IP device types (e.g. IP-phone, IP-camera, WiFi-AP) for end users to enhance manageability and save time/cost during installation/ maintenance stages. The unit is designed to help customers to reduce power consumption and lower the TCO with IEEE’s 802.3az Energy Efficient Ethernet features. Universal Power Over Ethernet (UPOE), which extends the IEEE Power over Ethernet Plus (PoE+) standard to double the power per port to 60 watts, options to power IP devices with power-saving features like Power scheduling and PoE configuration. Remote Monitoring (RMON) Embedded RMON agent supports RMON groups 1,2,3,9 (history, statistics, alarms, and events) for enhanced traffic management, monitoring and analysis.